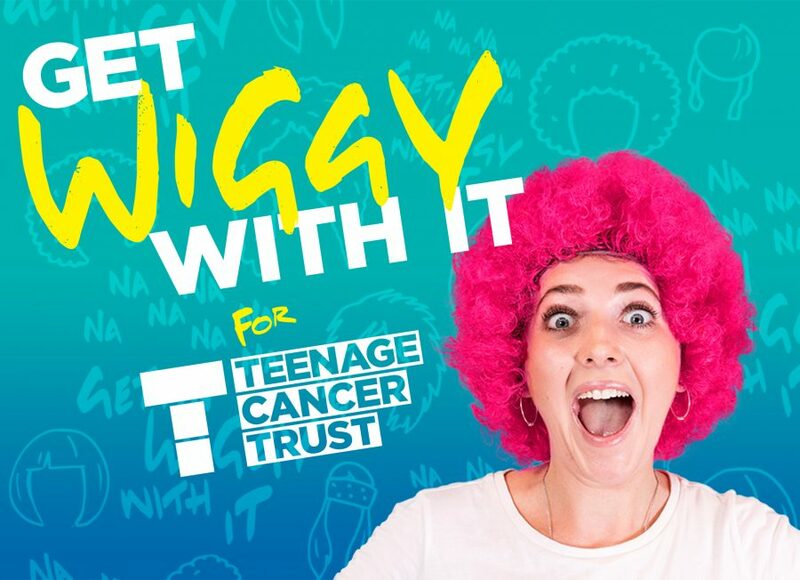 From Friday 20th – Sunday 22nd July, our stores around the UK will take part in a ‘hair-larious’ fundraiser – wearing wigs and showcasing crazy hair styles as part of Teenage Cancer Trust’s ‘Get Wiggy With It’ event. The fundraiser will support the charity as well as showing solidarity for young people who lose their hair due to cancer treatment. We’ve been proud supporters of Teenage Cancer Trust since March this year. They’re now a part of our Together for Families programme alongside Alzheimer’s Society and Save the Children and through the programme, we’re aiming to raise £5 million over the next three years. We’re working together with Teenage Cancer Trust to provide specialised nursing and emotional support for young people aged 13 to 24 who are diagnosed with cancer. Being told that you have cancer as a teenager is very different to being diagnosed as a child or older person. Suddenly your whole life changes and it can be very scary. Young people need to have someone to turn to for support through this very difficult time. They need someone who understands what they’re going through and can provide age-appropriate care. Teenage Cancer Trust is the only UK charity which meets this critical need. The charity funds 28 outstanding Teenage Cancer Trust Wards (units) in every major hospital (Principal Treatment Centres) across the UK and the charity fund specialist nursing staff who help to run them. But right now, Teenage Cancer Trust estimates that their world-leading nursing can only help half of young people diagnosed with cancer. They need funding for an outreach nursing and support service for young people who are unable to access one of their wards. This service aims to reach young people who live too far away from a Teenage Cancer Trust ward, providing support in their local hospital or at home. We want to support the charity in reaching these hard working families across the UK. Chloe Thurlow, 20, from Bristol, was diagnosed with acute lymphoblastic lymphoma in September 2017. She’s currently receiving treatment which includes chemotherapy and medication. 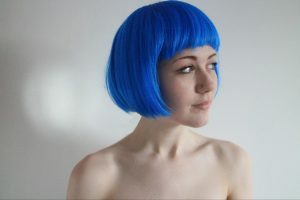 “When I was diagnosed and started my treatment, I lost my hair and felt that I’d lost my identity a bit too, but I’m quite a positive person and started experimenting with wigs. 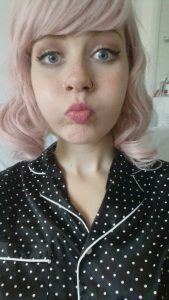 I’d worn wigs for parties and festivals previously and it added a theatrical element to the outfits, but now I match my 1950s dresses with big 1950s hair. 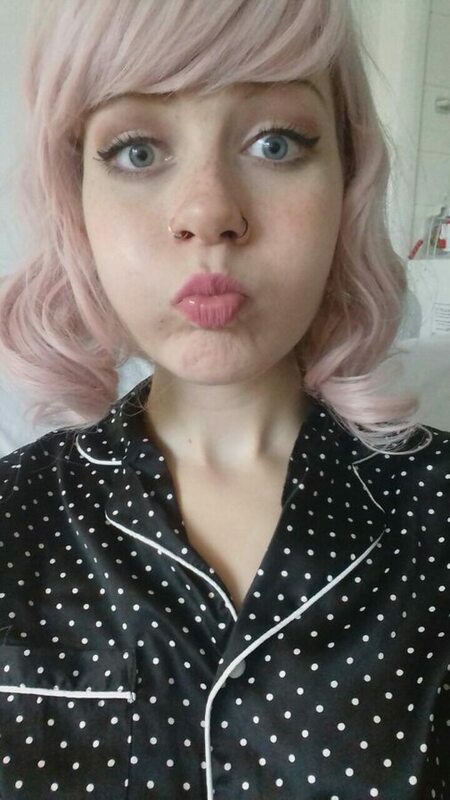 Other days I wear a dramatic blue wig, or a pink wig. “I used to love my long hair. I’d kept it very natural and I would have been too scared to have dyed my hair those colours so it’s good that I can experiment now. Please help Teenage Cancer Trust support more young people diagnosed with cancer. You can head to your local participating wilko this weekend wearing a wig, share the campaign across social media channels or visit www.teenagecancertrust.org to make a donation. Thank you.